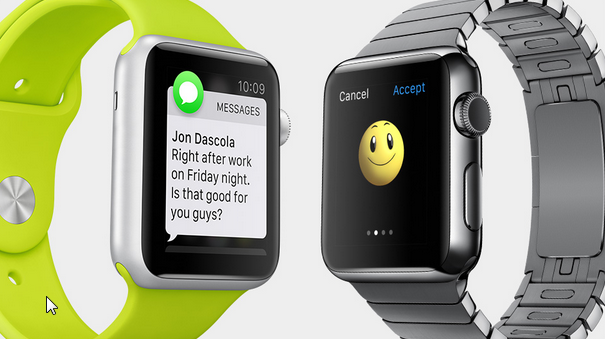 The Apple Watch has touch options along with a crown which can be used to navigate through the watch. This makes it great because none of the other smart watch have the options of a crown. The digital crown also allows users to easily zoom in and out for the easy view of maps and others such apps. The crown can also be used to open applications on your Watch. The Apple Watch also comes equipped with a quick access button where you can list contacts of your friends and family for quick call or send live gestures and pulse. It can also be used to make payments with Apple Pay. Watchkit is an SDK which will allow developers to create more applications for the watch but out of the box the device is equipped with lot of applications. It has a navigation app, notification app, activity app and whole lot of watch faces to select from. An app to share your heartbeat is also available out of the box. 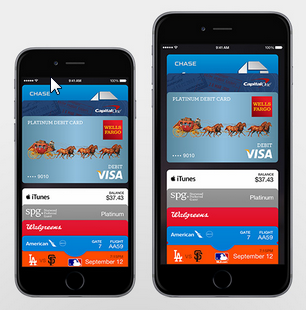 Apple Pay is compatible with the watch so users can pay by just using their watch at stores. Apple Watch requires iPhone. It works with iPhone 5, 5c, 5s, 6, and 6 Plus so make sure that you have one of these models to get it to work.